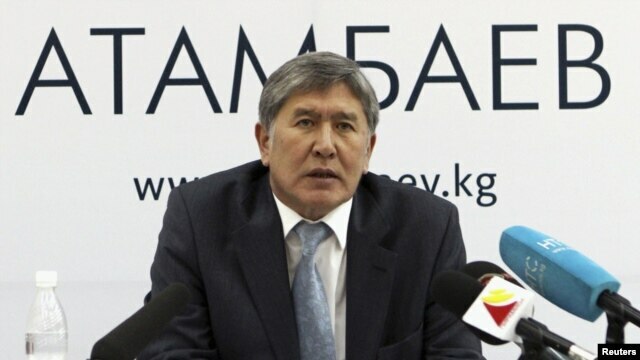 Kyrgyzstan's presidential elect Almazbek Atambaev. Source: Reuters. As NATO is looking for logistic ways to implement the concluded strategic partnership agreement with Afghanistan, which extends its participation in the region beyond pullout timeline of 2014, Kyrgyzstan regains leverage over Russia and the United States, considering it hosts military bases for both countries. However, this time Kyrgyz new authorities are facing some restrictions in how far they can apply that leverage to their own advantage, considering Moscow’s own bargaining power and its more pragmatic approach towards the neighboring republic. For more than 10 years, Kyrgyzstan has been hosting Manas military base, later renamed into a transit center that serves as a refueling stop and transit hub for about 15,000 troops, planes and 500 tons of cargo per month, and remains of a high strategic importance to NATO operations in Afghanistan. Therefore, when in November 2011 newly elected President Atambaev announced his decision to close the base in summer 2014, the news caused uneasiness and concerns with Washington that sought extended regional presence for its stability operations in Afghanistan. After the announcement, a number of US top officials visited Kyrgyzstan, looking for a mutually beneficial agreement. Back in 2009, then President Bakiev also threatened to close Manas base, which earned him extensive concessional loan and financial aid from Moscow, but also tripled the rental price for the U.S. The Manas base continued to operate open to the disappointment of Russia. It is possible that a recent announcement on closing the base in 2014 and occasionally critical rhetoric towards Kremlin would turn into another attempt by Kyrgyz leadership to resolve current economic problems and secure unconditional financial inflows for the country. Initially, many thought that Kyrgyz 2011 decision to close Manas spoke for a new direction of Kyrgyz policy leaning towards Russia that has long been advocating against NATO military presence in the area. However, the relations between the Kremlin and new Kyrgyz authorities got off to a sour start, as President Atambaev rushed into openly reprimanding Russia about the $15 billion debt for its military base, and noted that Kyrgyz state could be better without any foreign bases at all, while Russia, remembering its failed hopes in the past, did not hurry to offer new loans, financial aid, or other concessions as it did in 2009. Kyrgyz authorities clearly understand that with the U.S. leaving the area, millions of dollars in rental payments and investment in infrastructure will cease to exist. Unless the state develops a plan on attracting investment and exploring existing resources, loss of income generated from NATO military presence could affect country’s well being and cause another political turmoil in a yet unstable state. Meanwhile, Moscow might just not be ready or willing to fill the financial gap unless not without solid concessions and guarantees. That could explain why President Atambaev kept the window open for further dialogue with Washington, and a new land transit agreement was concluded between Kyrgyz and NATO’s officials at the Chicago Summit. Few scenarios of further development are possible. Kyrgyzstan could chose to cooperate with a more solvent and accommodating party and leave the base operating as it did in 2009. Such an offer would hardly please Russia, as it looks to diminish NATO’s influence in order gain the status of a single security guarantor in the region. However, Kyrgyzstan’s dependence on Russia’s fuel exports and a large presence of Kyrgyz workers in Russia to a certain degree limits its actions. In another scenario of a closer cooperation with Russia, the success is not guaranteed either, as Russia has so far been hesitant to develop joint projects with the republic considering old challenges of underdeveloped economic sectors in the area, corruption and instability. Before Kyrgyz authorities make their choice, they could also try to accommodate all parties’ interests possibly via common civilian projects, but that is easier to say than done. Ania Viver is an editorial/research assistant at WorldAffairsJournal.org. 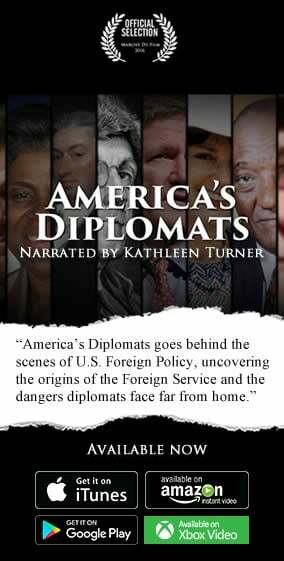 She recently graduated with a masters degree from the John C. Whitehead School of Diplomacy and International Relations at Seton Hall, where she focused on Foreign Policy and the South Caucasus region. Prior to moving to the US from her native Russia, Ania worked for six years as a trilingual assistant to the regional coordinator on international programs.